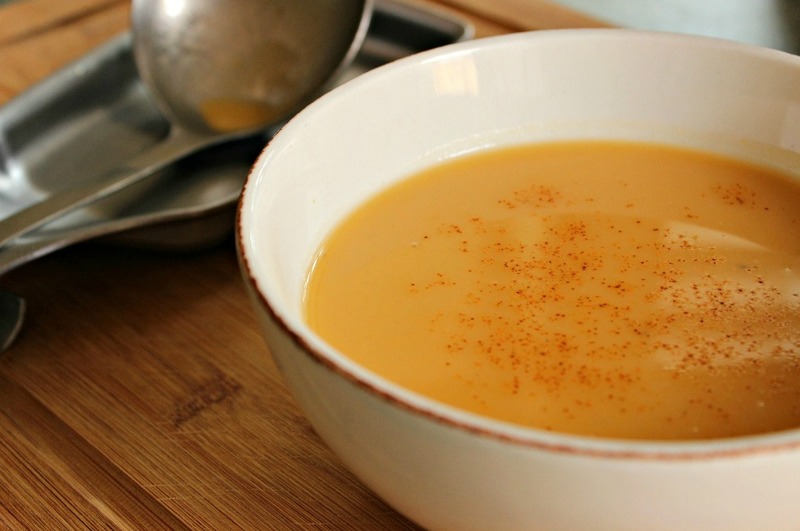 The perfect starter soup for Easter dinner - or serve as part of a warm and healthy mid-week meal. 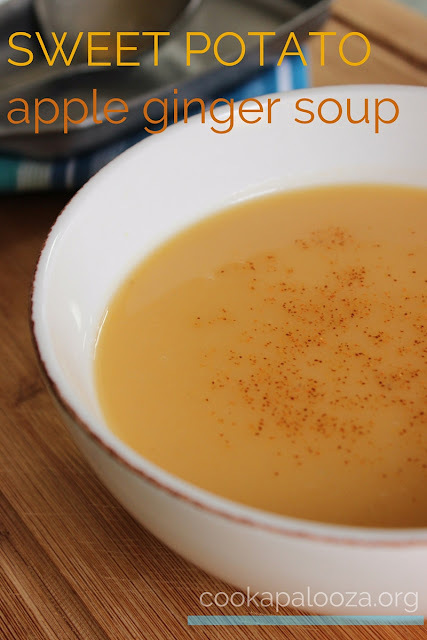 This Sweet Potato Apple Ginger Soup recipe is an update on a version I had originally posted back in 2010. Last time I prepared it as part of a Christmas dinner. This time my wife, our two kids and I sank our spoons into it mid-week along with toasted bagels topped with melted cheese on the side. My wife enjoyed the soup so much she decided to include it on her menu for her family's upcoming Easter dinner. As for the recipe, it is essentially the same as the original except this time I substituted onions for the leeks and a potato for the second sweet potato. The only reason for my substitutions is when I decided to revisit this recipe, and make it for dinner; there were no leeks in my fridge and only one sweet potato in my pantry. With that said, the one ingredient you would want to keep the same when following this recipe is the Granny Smith apple. 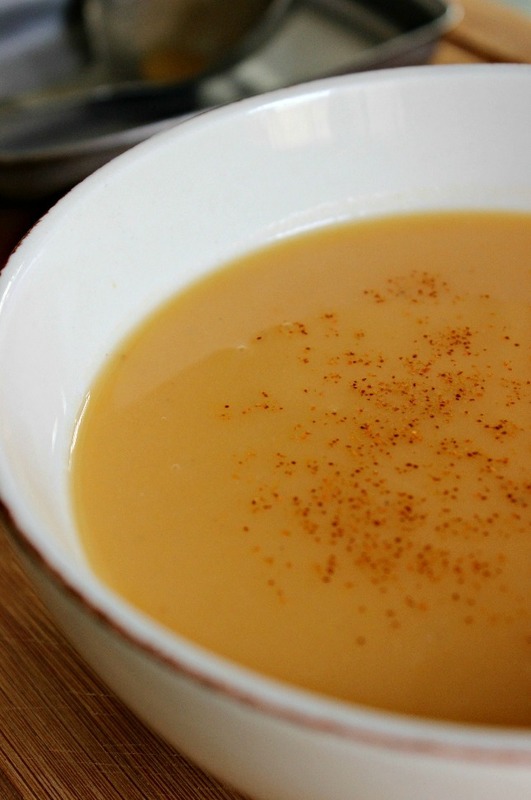 Its pleasing tart flavor is the secret ingredient that makes this homemade soup taste so good! I have posted a video version of this homemade soup recipe on the Cookapalooza Facebook page and YouTube Channel if you would like to get the visuals on how to make. And please let me know in the comments if you decide to give this recipe a try. Thanks for reading my post and I hope you enjoy this soup as much as me and my family do! 1. In a large pot, melt butter over medium heat. Add onions, apple, brown sugar, and ginger. Cook and stir until onions and apples begin to soften, about 4 minutes. 2. Add sweet potato, potato, chicken broth, salt and pepper. Bring to a boil. Reduce heat to low, cover with a lid, and simmer until sweet potatoes and potatoes are tender, about 20 minutes. Remove pot from heat. 3. 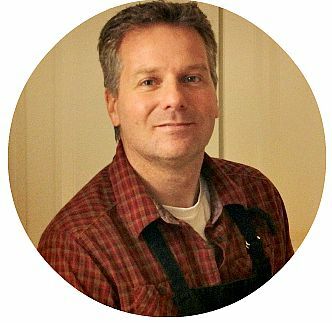 Working in batches, puree soup in a blender until smooth. Stir in milk (if using). Lightly sprinkle with a pinch of cayenne pepper before serving.